Not many dives begin with a site briefing in the middle of the Washington desert. Nor do they include a drive through a field of abandoned cars and trucks before arriving at a hole in the ground, guarded by an ominous looking locked cage. 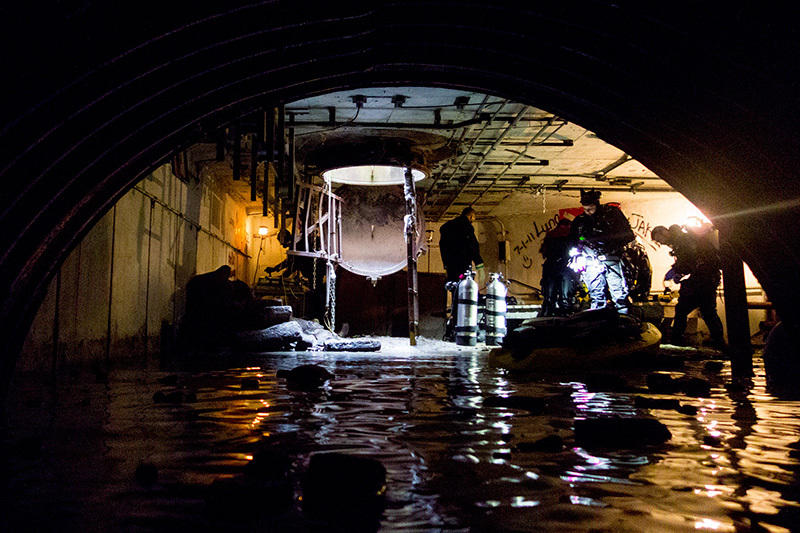 3 years ago we were invited out for an unusual dive inside an abandoned and flooded Cold War era nuclear missile silo. The place is a videographer's dream. We could have spent an age underwater there, moving behind cables, grids, launch platforms, and old equipment. It’s like a gigantic movie set. We didn’t really know what to expect, so we kept gear to a minimum: a trusted Canon 60D with Magic Lantern for topside filming and interviews, a Sony RX100 in Nauticam housing paired with Light & Motion Sola 4000s for underwater, and some handheld Sola 800s for additional lighting. If we did it again now, we’d be taking all kinds of camera gear, lights, sliders, tripods, drones, a sherpa… but this was in our early days. In a lot of ways, the video we decided to make helped form the heart of Seaproof.tv - our Minimentaries. The original RX100 was an excellent choice for good quality and full HD video, with a decent codec and an acceptable bit rate for a compact camera. Unlike the current incarnation, no over heating issues either. We could dive in an unknown location, with lots of hazards, with a small camera capable of good quality results, and be assured it would shoot well when we needed it. Our plan was pretty simple. We only had two dives, so just shoot as much as possible, get an interview with the guide, then see what we could edit together. 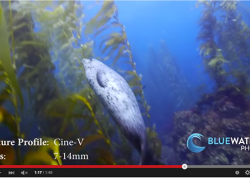 The silo makes for an adventurous and fun recreational dive. 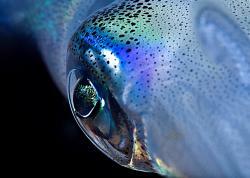 That’s right, you don’t have to be a tec or cave diver for this one, as it’s not technically in an overhead environment. 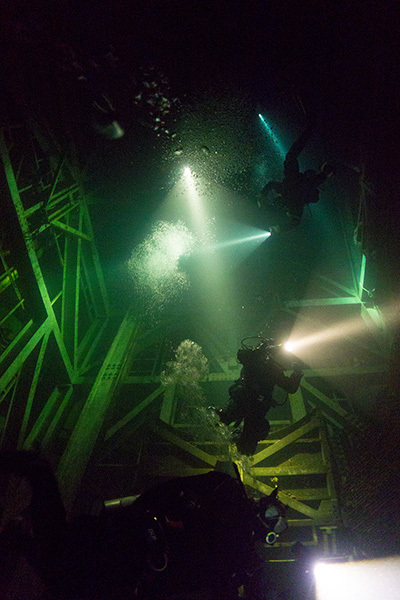 The silo is about 130 feet or so deep, 100 foot of which is underwater, meaning there is a sizeable area in which to surface, look around and breath air from. 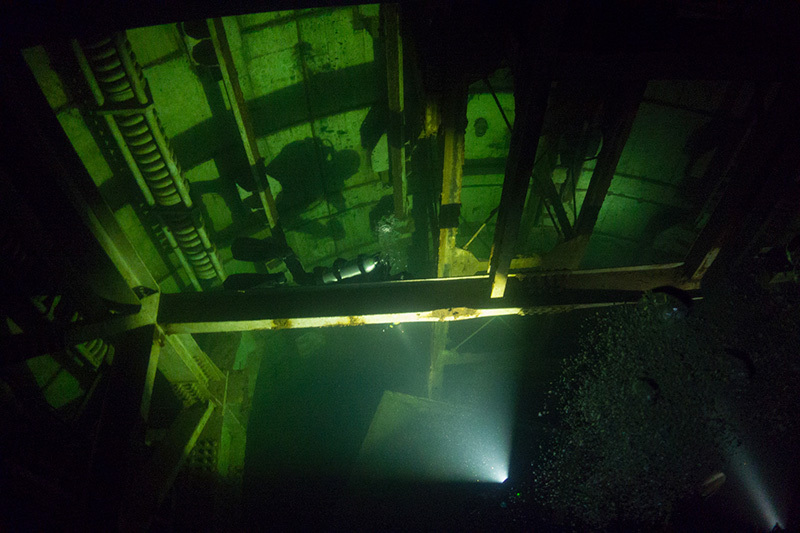 Other parts of the underground silo complex are also flooded and have overhead environments that can be accessed by divers with adequate training and an okay from the dive company that runs the guided tours there. These sections are smaller office-like parts of the complex that are large enough to swim around in, but not so big that you could get lost or lose site of your entry point. 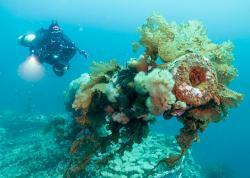 The silo complex was not prepared for divers like an artificial reef is. There are a lot of things hanging, protruding, and could prove hazardous. 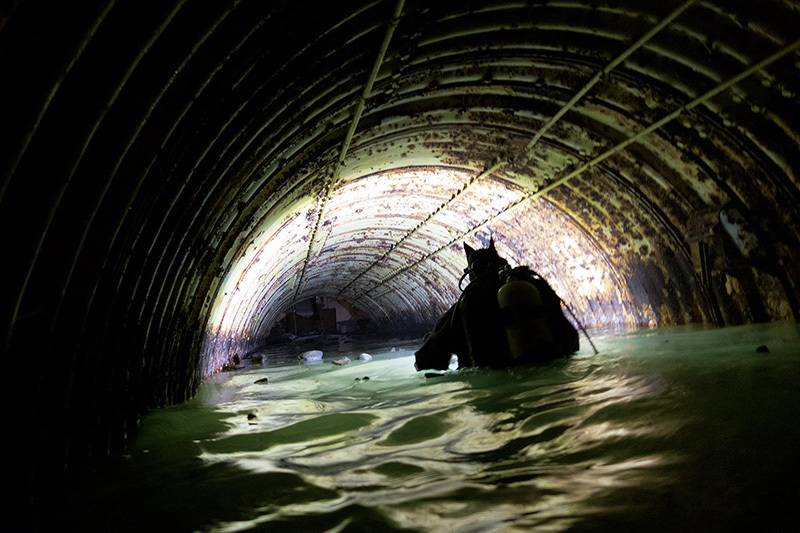 You need to have your eyes open as you carefully step over pipes and cables, waist-deep in water, wading your way through the tunnels on your way to the silo entry point. The guide recommends Advanced Open Water certification and very good buoyancy. Water flow is very slow, so stirring up the silt inside will take a few days to completely clear. If you’re there for photo or video purposes, make sure you’re the first group in that weekend! The nuclear missile silo is a fun dive and an interesting look into a unique part of U.S. history. The shoot had it’s challenges: no time to plan, only two dives, and of course having to keep one eye on hazardous surroundings, despite being glued to the camera monitor. But it’s a fun, unique and adventurous dive that makes for some great video, and a great dive story when chatting with buddies.